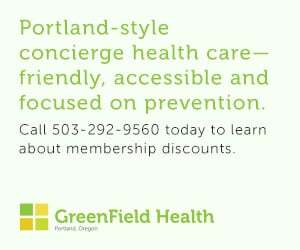 Screen shot of coverage of the incident by The Oregonian. Two of the three men arrested last week for stretching string across the I-205 bike path are set to make their first appearance in court today. 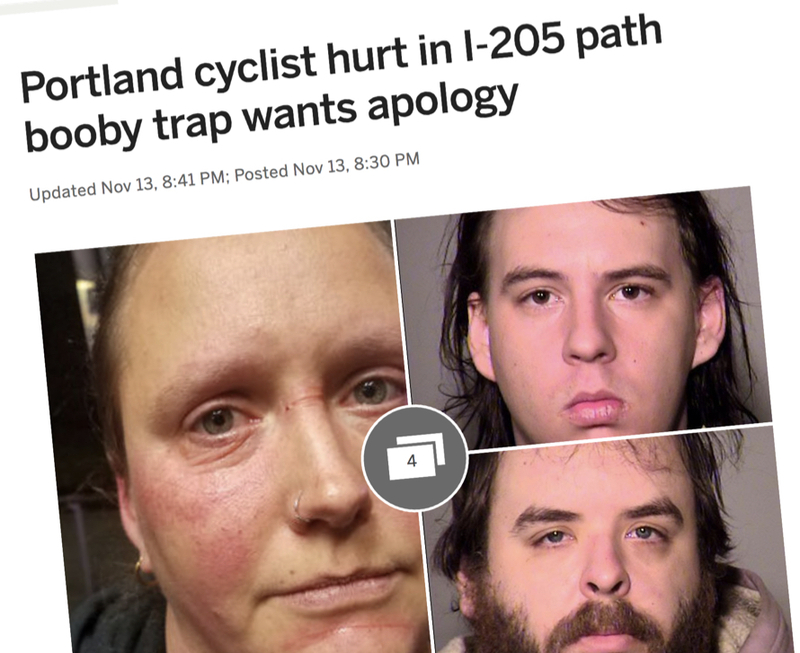 On Friday, November 9th, Portlander Carlene Ostedegaard was riding home from work on the path just south of the Division Street MAX station when she pedaled into what Portland Police described as a “booby trap.” She suffered laceration injuries on her face. Police responded and were able to apprehend three men suspected of committing the crime: 23-year-old Justin J. Jones, 27-year-old Justin R. Tolman-Duran, and 21-year-old Dakota E. Murphy. 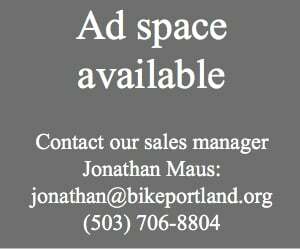 On Tuesday (11/13) the Multnomah County District Attorney’s Office reviewed the case. DA’s Office Communications Director Brent Weisberg says following the investigation one of the men, Dakota Murphy, was issued a “no complaint”. The other two, Jones and Tolman-Duran, have been re-booked into the Multnomah County Detention Center and are now charged with one count each of felony assault in the third degree. Their initial booking was for misdemeanor assault. The DA will issue a “no complaint” when they choose to not file charges upon initial screening. Weisberg said that doesn’t mean Murphy won’t be charged later after more investigations are completed. At court today, Tolman-Duran and Jones will be informed of the charges against them and their attorney will introduce themselves to the court. If they haven’t hired an attorney, one will be appointed for them. Also at today’s court hearing the DA will file the probable cause affidavit detailing the incident and their justification for bringing the felony assault charges. We’ll update this post once we receive that document. State of Oregon vs Antonio Tolman-Duran was filed under Case No. 18CR75660. 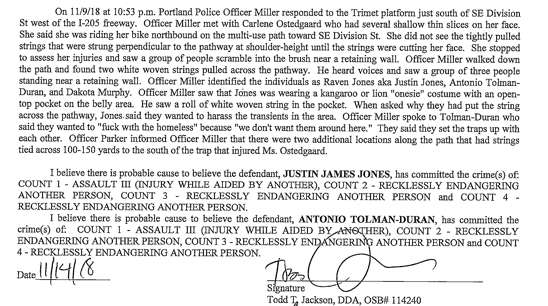 State of Oregon vs Justin James Jones was filed under Case No. 18CR75663. Both appeared in court this afternoon. A not guilty plea was entered on their behalf. Both had criminal defense attorneys appointed to them. Both are charged with one count of assault in the third degree and three (3) counts of recklessly endangering another person. The next court date for both individuals is Nov. 28, 2018 at 2:10 PM in the Justice Center, Courtroom 3. Both remain out of custody. 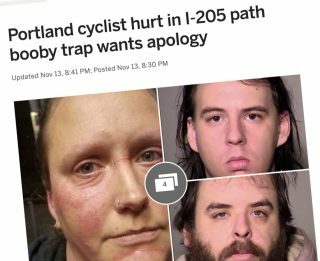 The post I-205 path ‘booby trap’ suspects in court today face felony assault charges – UPDATED appeared first on BikePortland.org.